Gone are the days when the scope of entertainment was only limited to watching films and TV shows. Nowadays, it is more about to tune in live and enjoy the wider option of the Internet for your entertainment. You can also simply get the best streaming services for watching all your favorite movies and shows on demand. With this option of availing the best streaming services, comes the dilemma to choose in between the available options. Netflix and Amazon are two of the prime streaming services which are ruling the market and are also the favorite of many people. Netflix vs Amazon – people are often left confused as to which of the streaming service should they select. But, now with this information, it surely would have become easy for you to make the right choice for you to get the desired value for your money. Netflix is a complete package which offers great selection, consistency, quality, and performance to its users. Another great thing that you can get with Netflix is that you can create 5 different profiles on a single account so that you can always keep a count of your favorite shows. This streaming service is compatible with most of the devices such as Smart TV, Android, iOS, PS3, PS4, Roku, PC, MAC, etc. The available interface of this service is kept interactive and simple so that the users can access it without any difficulties. Other than this, Netflix’s library for movies and TV shows is also quite impressive and you can get a great variety of options to choose from. 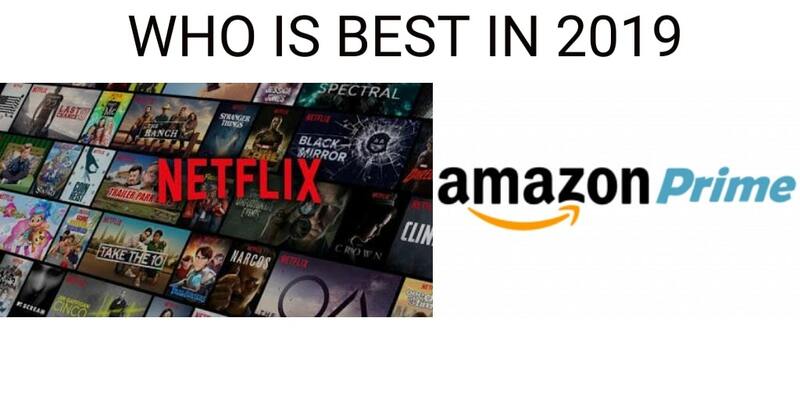 Comparing Amazon with Netflix, the first advantage that you will get is that Amazon is cheaper than Netflix in its prime. This is one of the major reasons for the popularity of this streaming service in India. Moving from the price feature, another attraction for Amazon is that along with offering the best streaming option for videos and movies, it also offers great options for Amazon music, which is available in 12 different languages. Moving to the content part, the local content available on Amazon is also of excellent quality which is well-supported by the interactive interface for the convenience of the users. Though, Amazon is not compatible with Apple TV but other than this, it is compatible with all the leading devices such as Smart TV, Android, iOS, PS3, PS4, Roku, PC, MAC, etc. Both Netflix and Amazon are now available globally and can be accessed quite easily. Both the services offer one month trial period to their users and also focuses on their original content for attracting the users. So, which one out of the two, do you like the most and why? Please comment below your opinions as well as your suggestions to us.